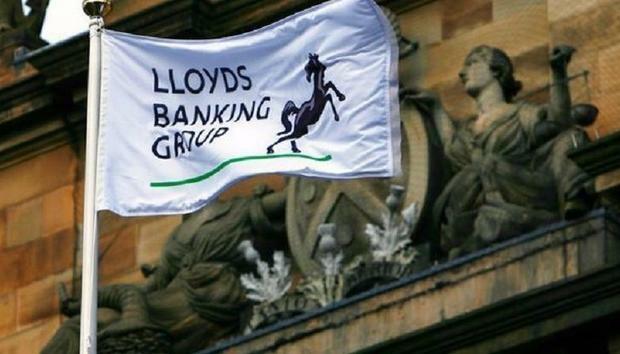 Lloyds Banking Group has recently opted to deploy Oracle's cloud enterprise resource planning (ERP) software across some of its business units over that of rival SAP, and is now looking to adopt more of the American vendor's SaaS solutions. Speaking with Computerworld UK during Oracle OpenWorld 2017 in San Francisco, Matt Trager, head of finance business architecture at Lloyds Banking Group, explained why they opted for Oracle. "We've been an Oracle customer for years, and in 2016 we made the shift from SAP to Oracle to use its cloud ERP solutions, initially in our legacy Halifax and Bank of Scotland businesses, with the view of rolling this out subsequently to the Lloyds Bank business," Trager said. "The idea was to take on Oracle's ERP and define a roadmap of migrations that you could go to over time which would allow you to not only move everything and consolidate, but also transform at the same time. "You can clean up historical processes, get rid of any legacy issues around your business processes and get rid of adoption of a single way of doing things across all the different dimensions of ERP activities." After running Oracle's older version of its E-Business suite for a long while, Trager was keen to get IT thinking about its technology strategy in a different way. "It's not like, right it's been five years: let's have an upgrade conversation. Let's actually have regular conversations every month and every quarter about where we're going and what we need and if the business strategy has changed, what we need to go and think about our architecture again. "I can't move fast enough if I have this disconnected relationship with my IT partners, we need to respond quickly as the landscape changes. The requirements keep coming and challenges keep coming. It is now a big deal in a complex space so we've got to be much more integrated unless you want to become transactional," Trager says. However, from shifting to Oracle, to embracing the adoption of cloud in full force, there are different challenges that come with helping customers understand what cloud deployment can offer them that the non-cloud route cannot. "The first and foremost roadblock is getting people comfortable with what it really means, because there's a lot of conflicting information out there about what it means to be cloud. What this means from an enterprise perspective is that you get this idea about public cloud and think that it's literally in a public space," Trager said. "But actually, the levels of security, resiliency and innovation you get with public cloud are even better than you get on-premise." So where does Oracle come in? "Oracle runs a single configuration infrastructure, which is inevitably easier to maintain, run, innovate, be resilient, patch and all those kind of things," says Trager. "So for us, that was working with a vendor like that and helping people understand that it is secure." When it came to picking a cloud ERP vendor, Trager told Computerworld UK that the bank identified various dimensions such as functionality, security, scalability and maturity when deciding. "Oracle were very much going vanilla, configuration only, public cloud and that's where we believe the future is. SAP were still focused on an on-premise/private cloud, highly customised type of approach, underpinned by some very strong technologies. We as an organisation were much more in the Oracle school of thought." Trager says that Lloyds was tired of bespoke software, preferring a standard configuration where it is being "upgraded every three months. We loved that idea because if you're part of a traditional organisation, it's a really big challenge to upgrade for functionality. We upgrade for risk managements and to ensure support and resiliency of our architecture," he said. Since adopting Oracle's ERP, Lloyds is now pushing forward with Oracle's software-as-a-service (SaaS) solution for finance. "We're really keen to leverage SaaS everywhere we can. So for instance every time I've got an application coming up for review, particularly one that's at the end of life, or a really great upgrade opportunity, I'm exploring SaaS," Trager said. "The group and finance really believe that is the foundation for our innovation in the future and how we can be the most competitive and deliver great value for our customers."